The Colosseum was, frankly, collossal. Spellcheck says it was colossal, but I think it was collossal. The whole concept — the Roman Empire building such amazing structures 2000 years ago, piecing together a thriving civilization that lasted 1000 years itself, that then promptly went to crap — the scale of it all blew a collossal hole in my mind. Apparently, an empire built with an unlimited number of slaves can lead to high productivity, but on the flip side, also to one’s eventual demise. 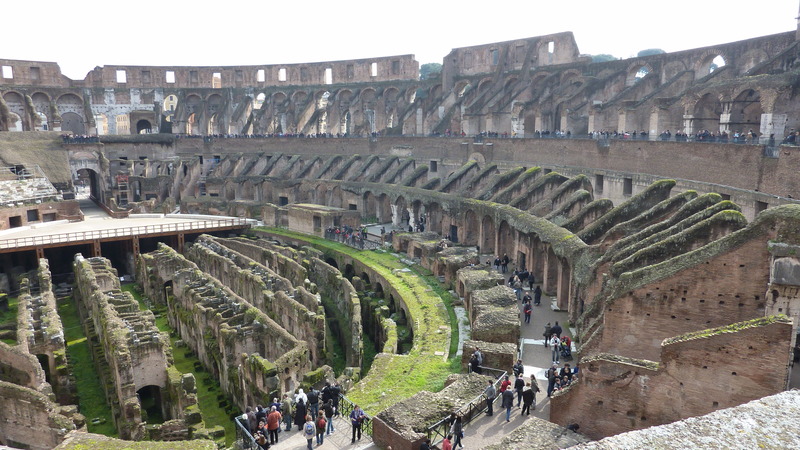 But before that slide down the slippery slope, the Romans built a spectacle on par with today’s new Dallas Cowboys stadium, using the technological equivalent of some chisels and the wheel. The accomplishment prompts deep thoughts. The day we visited the Colosseum, it was sunny. We did not see much more sun that week, but considering it had snowed in Rome for the first time in 25 years just the week before our visit? A little drizzle and clouds posed no significant problem. Plus, we had not seen the sun in our hometown for many moons. So, in a way, it felt more like home to have it be a bit dreary. The sky remained cloudy here for the two weeks following our return. Then, last week, something happened — the sun came out and remained out for the next seven days. Someone Somewhere flipped the Spring switch. And it has been glorious: that long drink of cold water when you are thirsty, a warm hug from above, insert other soaring metaphors here… because there is nothing quite like Spring to follow a long winter, including a February that by a bizarre mega-leap year phenomenon ended up being 87 days long. And along with the sun, finally, came the first blooms of the season for my crocus. OK, spellcheck, I see your point — colossal has nothing to do with size. So I finally came up with my one word (a place you were 5 posts ago) … supercalifragilisticexpialidocious. If I only get one word, it has to be a good one because I have a lot to say. Plus, I like the definition. 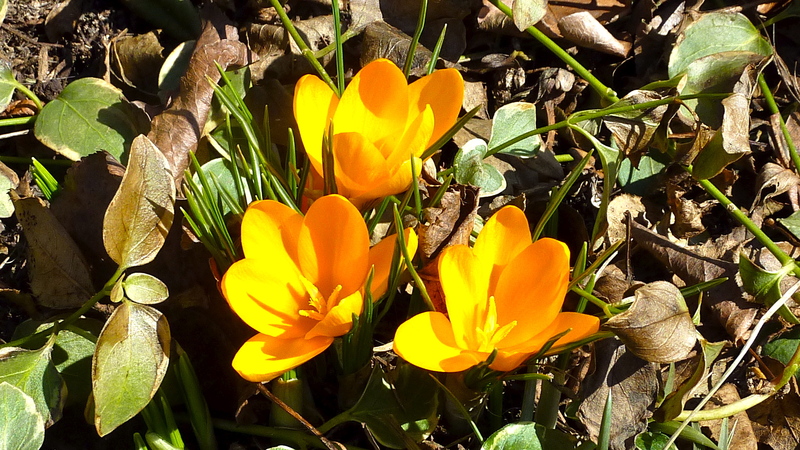 Mind boggling – on how grateful I was to see Rome and the spring crocus. I think seeing the crocus peak through this week made me happier than anything else this long winter. Mair, those crocus are my favorite part of the whole year of gardening. Enjoy! “On a par with today’s new Dallas Cowboys stadium”? I laughed out loud at the analogy! Then I saw the picture, and I could see exactly where you were coming from. Fantastic pictures, as always!!! And you make me want to do some travelling! I think the Collosseum looks magnificient; but I much prefer the small harbingers of spring, any day of the week. Jan, I agree — those small harbingers (love that description!) are truly a treasure. Would love to see the Colosseum some day, and try to imagine the stories that fill the place. So glad you are finally enjoying some sunshine. “A warm hug from above” is exactly what it feels like here today, too. Enjoy! Darrelyn, the stories that occurred at the Colosseum are incredible and bizarre, especially when viewed by our culture, instead of through the lens of theirs. Thanks for the sunny thoughts!